Most of us have heard of Feng Shui, the ancient Chinese system of connecting inner and outer harmony, but do we really know what it means or what it looks like? If you’re like I used to be, when you think of Feng Shui, you imagine someone aimlessly moving the furniture around. 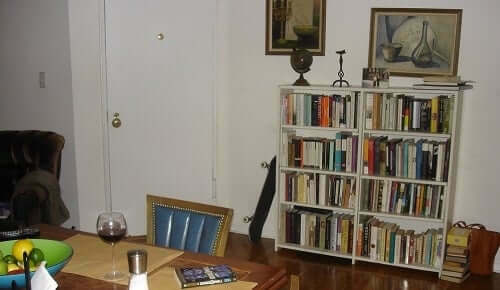 The reasons for why the sofa should go over here and the chair over there always seemed like a mystery. No longer! At its essence, Feng Shui is about energy flow, about allowing energy to flow through a space in a harmonious fashion to help energy flow through your body in a similarly harmonious fashion. One of the major ways that this energy is measured is through a bagua grid. Essentially, a bagua grid is an energy map of a given space. It has directions associated with given areas of your life. The idea is that if you use this map to organize a space according to those various areas of your life. Then the energy will flow in a beneficial direction and allow you to be peaceful, fulfilled, and successful. It is important to note, however, that there are two different bagua grids, the Classical Bagua Grid and the Western Bagua Grid, and it is advised to not try and use both simultaneously. The rest of this article will be about the Classical Bagua Grid, but if you are interested in exploring the Western Bagua Grid, I will mention that at the end as well. How Do You Use A Bagua Grid? The first step is to make one, using the guidelines above. Then, you will need to orient yourself to the cardinal directions. Once you have identified north, south, etc., you can start to apply your bagua grid to align your home or office with Feng Shui guidelines. The north bagua area is associated with career. The associated Feng Shui element is water, and the associated colors are blue and black. Therefore, once you identify which part of your house aligns with the north bagua, you will want to have some aspect of that area dedicated to your career. It might be a good idea to install a water element, or to have black and white photos of someone whom you professionally admire. Maybe even adding a peaceful picture of a sky or an ocean would help to align this area with your professional goals. If you are designing your home, think about putting your home office in this section of the house. If you are designing your office, maybe put your desk here, or make this an area for reflection and productivity. The northwest bagua area is associated with helpful people, blessings, and travel. The associated Feng Shui element is metal and the associated colors are white and gray. This would be an excellent area for a sitting room or a waiting room. Think about decorating it with black and white travel photos in metal frames, or with a few choice souvenirs from interesting trips. Make sure to make it a comfortable, inviting space to encourage helpful people to occupy the space and therefore help and support you. The west bagua area is associated with creativity and children. The associated Feng Shui element is metal and the associated colors are white and gray. If you are designing your home, try and make this area a playroom for your children, or a creative space for you. Let this be a place of creation, of production. Think lots of white paper to fill with great ideas, or maybe even a wall-mounted white board for your brainstorming or your children’s art projects. Try and foster the western section of your home or office for creative problem solving. The southwest bagua area is associated with love and marriage. The associated Feng Shui element is earth and the associated colors are beige, light yellow, and pink. Obviously, if you were designing a home from scratch, it would be ideal for the bedroom to be in the southwestern portion. However, if your house is already designed and this is not an option, still try and have that energy in this section of the house. If you are married, maybe hang a few wedding pictures there, or display a few inspirational quotes about the power of love. Think about incorporating pastel colors like light yellow and pink in the décor, if not in the paint. Make this section of your home or your office conducive to love and deep emotion. The south bagua area is associated with fame and reputation. 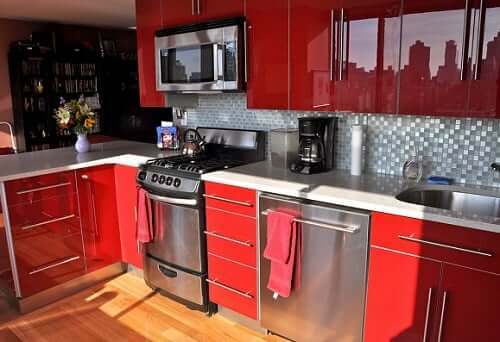 The associated Feng Shui element is fire and the associated colors are red, orange, purple, pink, and bright yellow. This should be an area of pride for you in your home or your office. If you hang degrees on the wall, hang them in the southern section. Any professional credentials or accomplishments you are most proud of? Display them here. Think about displaying these accomplishments in bright colors or near brightly colored objects to bring attention to them. Doing so will greatly increase your self- esteem and sense of purpose. 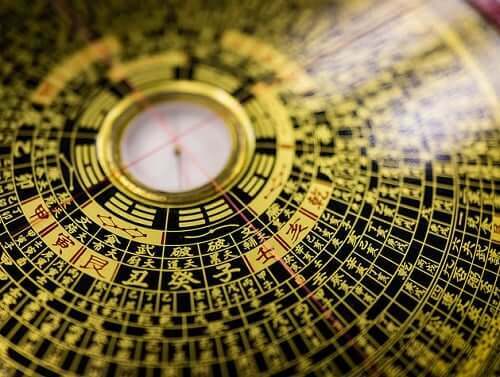 The southeast bagua area is associated with money and abundance. The associated Feng Shui element is wood and the associated colors are brown and green. Again, if you were designing a home from scratch, the southeastern and eastern sections would be ideal for the kitchen. The southeast, particularly, is where you should feel secure in your material possessions and in your abundant potential (think pantry, garden, etc). If you cannot design this area as a kitchen, think about incorporating greenery and nature through plants to give the area a feeling of abundance and life. The east bagua area is associated with health and family. The associated Feng Shui element is wood and the associated colors are brown and green. Like the southeast, this would be an excellent area for a kitchen. If not, again, a plant would be an excellent idea, or maybe some other natural element that promotes health. Think of maybe adding a medicine cabinet here, or a nice sitting area conducive to family gatherings. If you are designing an office, this might be a great place for a photo of your family in a nice wooden frame. The northeast bagua area is associated with spiritual growth. The associated Feng Shui element is earth and the associated colors are beige and light yellow. If you are a religious person, this would be the area to display religious iconography, or to create space for prayer and reflection. If you are not a religious person, or if you are designing an office, make the northeastern section of your space conducive to reflection and meditation; make it a relaxing place for you to take momentary breaks and recharge. Feng Shui can have an enormously positive effect on our outlook, mood, and overall well-being. If you are looking to design a space to enhance your quality of life, I hope you will consider these tips from the Classical Feng Shui Bagua Grid. Like I said at the beginning, these tips come from Classical Bagua, not Western Bagua. Western Bagua is also worth exploration, but remember, the two systems should not overlap. Best of luck incorporating Classical Feng Shui Bagua into your routine!